Welcome to my blog post! I am currently situated at the SKF headquarter in Gothenburg, Sweden and I just had a very inspiring day in the factory in Gothenburg. However, I would like to start with introducing myself and giving you some insights from my first time at SKF as a global graduate. My name is Josefin Locking and I have a Masters degree in Strategic Human Resource Management and Labour Relations from the University of Gothenburg. 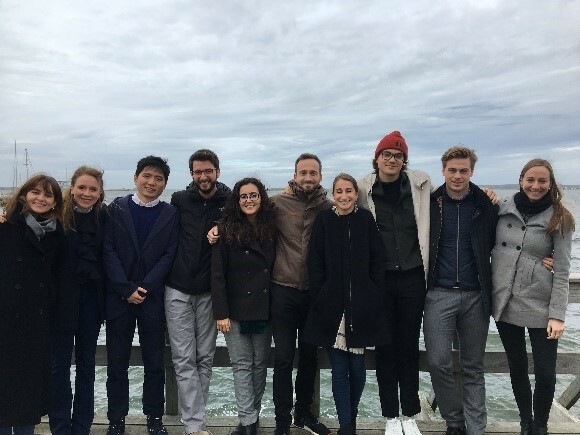 As Aline, who wrote the previous blog post, I am also part of wave 3 of the global graduate program and I started in the end of August last year. This means that I am currently in my first rotation. It is an exhilarating time at SKF as the organization is undergoing a lot of interesting changes to make sure SKF is in the forefront also in the future. Right now, I am working with several strategic global and local HR projects supporting this. Gamification, digitalization and new ways of working, just to mention a few areas of super exciting initiatives going on. To take part in that feels great! Adding the global dimension makes it an intriguing challenge, as SKF colleagues from almost the whole world becomes part of your scope. I would say it is a truly developing and great learning experience. With me, I have great senior and global professionals with immense experience and great energy! My first impression of SKF as a global graduate actually started before my first workday. My manager invited me for a lunch, briefing me about my personalized program, and gave me an office tour to see my future desk and meet a few colleagues. It was great and I remember myself being very excited before my starting date. 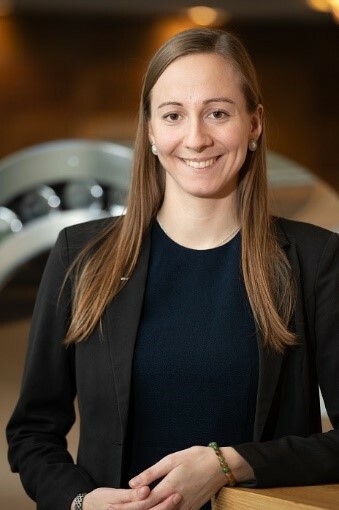 Since the first day I have received a very warm welcome and the graduate program and SKF are doing their utmost to make it as great for us as they possibly can. 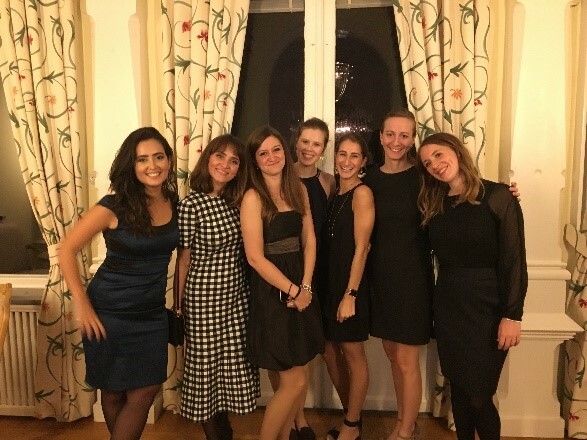 As Aline wrote in the previous blog post, we had a great introduction month, all global graduates from wave 3 together, and everyone is now in their first rotation in their home country. We are still keeping in touch though! Working at a global company, I am often in contact with people situated in different countries. This is something I really enjoy, and it is one of the reasons I applied for the SKF graduate program in the first place. The global graduate program is an intriguing 18 months journey, which I am now in the midst of. While the program is tailored for everyone, the common part for everyone is job rotation. It is really in the heart of the global graduate program. As you probably already know, the graduate program consists of three different rotations, five months each. Usually, it is one in the home country and two in other countries. For me, my second rotation will be in Turin, Italy. In just two months I will go there, and I am looking forward to it a lot! The third rotation is not yet decided, but I am also very excited about that. I am sure it will be great. My manager is giving me such a great support in setting up the rotations for me, and she is really making an effort to make it as great as possible. However, for me, the job rotations are not ending there. On top of the three rotations in the different countries, I am also doing a lot of rotations and shadowing within each rotation to meet many of my colleagues and to get an overview of their areas. Currently, I am joining the local HR team in the Gothenburg factory for three weeks. I get the opportunity to develop my knowledge about their areas and the factory, while also getting to know the people. It is set up with a combination of shadowing of my colleagues and I am also managing my own work in a few smaller projects. It is very interesting to work by myself in the area which I am rotating to, and it gives me the opportunity to get to know the people in action. To give you some insights in what projects I am working with, I can say that the topics range from digitalization and competence development to talent management and global change initiatives. Complementing the smaller projects, I also have projects running through my whole rotation, and one which I will have through the whole graduate program. This creates a good balance, not making it too scattered, and still giving me the opportunity to really experience the local areas where I am situated. Today I have talked with some of the managers here and I have also joined a cross-the-site HR meeting. A lot of things are happening. On a personal side, I am starting to get used to being constantly new in different environments. And while it is sometimes a bit tough when I feel that I don’t understand everything, it is also very nice to learn this much. The experiences I make now, I will have with me for the rest of my life. Moving around a lot in the organization also means that you get to meet a lot of colleagues, and while I have to be open and bring my energy to all new places I rotate to, I think SKF is a very easy organization to get to know new people in. The culture is very open, and I am often invited to different meetings, lunches and happenings. It is super nice, and I feel thankful every time I am in a new part of the organization and I get such a warm welcome. For me it is also important to be able to make a difference. Being new in the organization it is of course much about learning and developing yourself, but to be able to contribute is also very important I think. Working for a company that encourage people to take initiatives, empowering them to try their ideas is key. During our introduction month I think almost every senior executive encouraged us to do so. 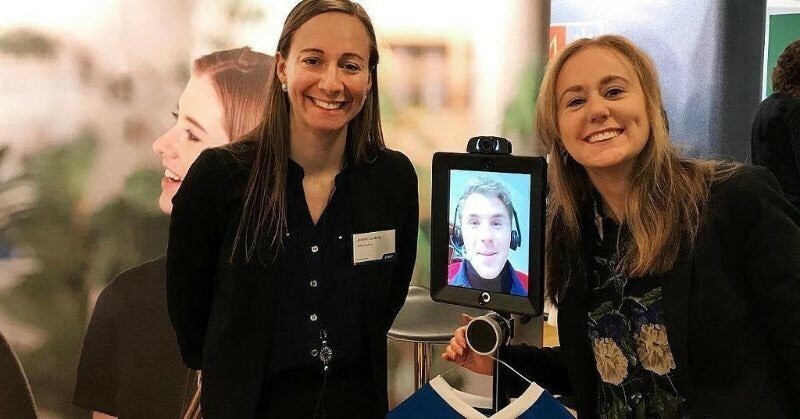 Exemplifying all their words, I later had a great experience when I proposed to bring one of our iPad robots to the student career fair Gadden at the Gothenburg School of Business, Economies and Law. I saw this as a great opportunity where the graduates out in the world could move around using the iPad robot and share their experience about our Global Graduate Program remotely, to the students, right from the reality. To be honest, I wasn’t sure how the idea was going to be received, but I was so happy when I got a lot of positive feedback and great encouragement from many of my colleagues. Together, we prepared everything, and the other graduates also made an effort to support. Such an energizing experience. With this, I hope you have got some insights into the world as a global graduate in SKF. I hope you enjoyed the reading and I wish you a nice time ahead!